According to Popism, Andy Warhol filmed San Diego Surf in May of 1968 in La Jolla, California - after Lonesome Cowboys but before he was shot by Valerie Solanas in June. The next major film, after San Diego Surf to be made by Warhol's group was Flesh which was directed by Paul Morrissey while Andy Warhol was in the hospital. (Flesh actually premiered in New York before Lonesome Cowboys even though it was shot afterwards). Paul Morrissey claims to have directed San Diego Surf, just as he claimed to have directed Lonesome Cowboys. Referring to San Diego Surf, Morrissey asserts "I cast it, I wrote it, I prodced it. I did everything. Why don't they attribute it to Lady Gaga? She's much more famous than Andy." (JHA) The film will be attributed to Warhol in the forthcoming Andy Warhol film catalogue raisonné. Scenes from a short documentary on Warhol making San Diego Surf, Andy Makes a Movie, show Warhol behind the camera at least some of the time. According to J. Hoberman in the New York Times, Surf was shot |"with two 16-millimeter cameras, one operated by Warhol and the other by Mr. Morrissey." San Diego Surf was never released when Warhol was alive, although comments made by Warhol and his actors indicate that it was meant to be the next film to be released after Lonesome Cowboys. Instead, Warhol was shot at the beginning of June and Paul Morrissey made Flesh while he was recuperating from his gunshot wounds. San Diego Surf was also mentioned as the next film to be released after Lonesome Cowboys in the 18 April 1968 issue of the Village Voice (reproduced on page one of the Lonesome Cowboys essay.) 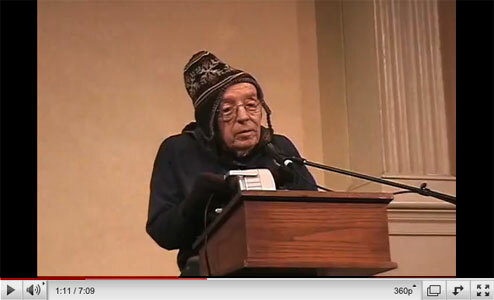 It was also mentioned in a radio interview in November 1968 (broadcast 16 December). Tom Hompertz, Taylor Mead and Bruce Haines were interviewed by Claire Clouzet on KPFA radio the day after Lonesome Cowboys was screened at the San Francisco International Film Festival. One of the interviewees asks Hompertz if he was in Warhol's surf movie and Hompertz replies, "A little bit - I do a little bit of surfing." When another intereviewee (Haines?) asks Mead if the surf movie has been edited, Mead replies that it is "close to being edited. We need a little more surf... We didn't get much." Popism gives one reason why San Diego Surf may not have been released at the time - the footage wasn't that exciting. According to Michael Boosin, who was given a small role as "The Big Kahuna" in San Diego Surf, Warhol and his entourage rented a different house in La Jolla after being stopped by the police and they "put the local police chief's daughter in the film to avoid any more police entanglements." Having seen this website, Boosin contacted me in 2007 and told me a number of things about the filming and about his friend, Eric Emerson, who was featured in the film, that hadn't been mentioned in previous accounts. Boosin had become involved with the film as a result of being friends with Eric Emerson. He had originally met Eric at the Ondine nightclub in New York. Eric stayed with Boosin in a castle in Hollywood that Boosin rented during 1967/68. Boosin's castle was not the same "rock 'n roll" castle that Warhol and his entourage stayed at during their EPA performance at the Trip in 1966. The 1966 castle was located at 2630 Glendower Avenue. 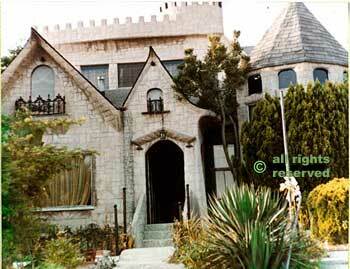 Boosin's castle was at 4857 Melrose Avenue. The realtor who rented the property to Boosin told him that the Melrose castle had originally been built by an ex-LA County Sheriff for his wife. According to Boosin, it was Eric who originally suggested to Warhol that he come to California and make a movie. Boosin recalls that the opening of the film was supposed to be Louis Waldon driving Boosin's "very very psychedelic corvette." Although Boosin never saw the finished film, he was shown rushes where Ingrid Superstar was sitting on his lap with her "kinda interviewing me to see what kind of husband I'd make (I think)" and recalls that the shooting was "typical Andy - no script - strictly ad lib." Just prior to his scene, Eric and Michael had done "a fistful of tuinals, to "take the edge off the spontaneous acting." In regard to Warhol, Boosin recalls that "I never got to know Andy in depth and perhaps no one did. He was quiet, withdrawn, studious. He spoke with a minimum of words in a quiet voice. When he had something to say on the set, he'd tell it to Paul Morrissey, very quietly." The filming lasted almost three weeks. According to Joe Dallesandro, the cast was not really aware of what they would be shooting when they arrived in California, but one idea was that they should continue with the Romeo and Juliet theme that was originally suggested for Lonesome Cowboys - particularly because the cast was very much the same. (JOE64) In addition to Joe, other cast members who appeared in both Lonesome Cowboys and San Diego Surf were Louis Waldon, Taylor Mead, Tom Hompertz and Viva. The film finally premiered on 16 October 2012 as part of the 10th MoMA International Festival of Film Preservation at the Museum of Modern Art in New York.